STORYFEST 2013 features writing workshops presented in partnership with Wayne State University Press. Workshop topics include poetry, fiction, and memoir writing. Each workshop is limited to ten participants so be sure to register early and reserve your spot. Writers of personal experience invariably encounter two fundamental issues. The first is the nature of truth in memoir: Who’s right about what “really” happened? What’s the difference between fact and truth? The second issue is about making writing meaningful: How do I find the meaning in the past? How do I make an important memory meaningful to others? In this workshop, we’ll come up with some reliable answers and useful tools for making art from one’s own life. Experienced and novice memoir writers are welcome. No one will be asked to write about, or to read, anything she or he is unwilling to share. The structure of the workshop is meant to open possibilities and to enable writing, so it will be very nonjudgmental and encouraging. Gail Griffin, Detroiter by birth, is the author of three books of nonfiction, Calling: Essays on Teaching in the Mother Tongue; Season of the Witch; and most recently, “The Events of October”: Murder-Suicide on a Small Campus, a work of narrative journalism about the student femicide-suicide at Kalamazoo College in 1999. Her poems, essays, and brief nonfiction have appeared in journals and anthologies. She is also an award-winning poet. She taught literature and writing at Kalamazoo College for 36 years, receiving the college’s awards for excellence both in teaching and in scholarship and creative work. In 1995, she was the Michigan Professor of the Year. She lives and writes in Kalamazoo. The basis of this discussion/workshop will center on the poems and poets who help us pay closer attention to the natural world, and thereby allow us to step away from our life of screens and social media. Within this framework we will look at how poems get their meaning, rather than what they mean. Additionally, we may try our hand at using the vast array of our memories, rather than Google, to get at the notion of how important it is to linger and dawdle long before the actual writing of a poem begins. Please bring only pencils and paper. If you want an extra challenge, please bring a pencil you have made yourself, and if you would like a further challenge, you might want to bring your own handmade paper. Michael Delp is a writer of poetry, fiction, and nonfiction whose works have appeared in numerous national publications. He is the author of As If We Were Prey (Wayne State University Press, 2010), in addition to five other collections and six chapbooks of poetry. He teaches creative writing at the Interlochen Arts Academy and has received several awards for his teaching. Join in on an intimate discussion with poet francine harris as you learn about her writing process while strengthening one of your own original works. Each participant should bring twelve copies of a poem they’ve been working on and are comfortable sharing with the group. In the second part of the workshop, participants will be given a prompt to work from. francine j. harris’ first collection, allegiance (Wayne State University Press, 2012), reached the number one spot on the national poetry bestseller's list and in 2013 has been a finalist for both the Kate Tufts Discovery Award and the PEN Open Book Award. Her work has appeared in numerous journals including recent publications in Sou’Wester, B O D Y and Southern Indiana Review. Originally from Detroit, she is a Cave Canem fellow and is the Front Street Writers Writer-in-Residence in Traverse City, Michigan for the 2013/14 school year. Inviting randomness into your work--the thing that seems to come out of nowhere--is key to writing fiction that moves, changes, and surprises. In Andy Mozina's fiction writing workshop, you will look over samples of short stories that stretch the boundaries of the imagination, before working on writing exercises that will help you to avoid writer’s block and draw connections that you might not have otherwise made. Andy Mozina is the author of the story collection The Women Were Leaving the Men, which won the Great Lakes Colleges Association New Writers Award. 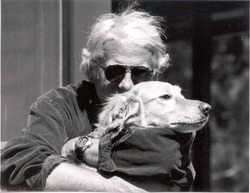 His fiction has appeared in numerous magazines, including Tin House, Ecotone, Fence, The Southern Review, and The Missouri Review, and has received special citations in Best American Short Stories, Pushcart Prize, and New Stories from the Midwest. His new collection of short stories, Quality Snacks (Wayne State University Press) is forthcoming in spring 2014. He is Professor of English at Kalamazoo College.